When I was a kid all I really wanted to do was eat gingerbread cookies. Like all the time. Gingerbread cookies, night and day. It wasn’t because I loved gingerbread cookies so much that I just had to have them. The truth was, I just wanted to bite their heads off. And then eat them. But definitely not in the weird way that it sounded just now. Sometimes I’d go easy on them (I was a reasonable kid) and start with an arm, or a leg and then work my way up. Okay, that does sound weird, now that I think about it, but come on, I was a kid. You can’t blame me. What child doesn’t get pleasure out of torturing cookies by eating them, limb by limb? I think that’s totally normal, right? Doesn’t everyone do that? Nothing screams “Happy Holidays” like a cookie massacre, and by massacre I of course mean feast. A cookie free for all. A buffet of cookies. A never-ending supply of cookies. I envied Santa Claus (maybe because of his red suit) but it was mostly because of the fact that he got to eat cookies and drink milk all night long. ALL. NIGHT. LONG. Talk about a dream job. Professional cookie eater sounds like the kind of thing I would be great at. I can eat cookies for a living. I would’t mind. I’d do it like my life depended on it, and as if every cookie I ate, saved a life. I’d save a million lives, in that case. It would be a tough job, but one I would hesitantly excel at, you know, for the good of the people. I’m saving lives after all. It’s fun sometimes to just forget about everything and decorate some cookies. Especially during the holidays. There’s something about gathering everyone together in the kitchen and getting all those creative juices flowing. The holidays can be so stressful at times, brought on by the pressure of fighting the crowds and purchasing gifts, but if you really think about it, it isn’t about the gifts but rather the good times and the memories you create with those you love. Those are the things we carry with us throughout our lives. Material items come and go, but memories, those will last a lifetime. No assembly or batteries required. Just the willingness to have fun. It doesn’t even matter how old you are, you can still have a good time at any moment of your life. I mean, I’m a quarter of a century and I still get a kick out of biting the heads off of gingerbread men. Some things never change. Especially my love for gingerbread. That will always be there. As a child, I often wondered if Santa Claus had a favorite cookie. It would keep me up at night. “What if he doesn’t like sugar cookies?” I would ask my mom, (which were the ones we always left for him). I felt bad, as a kid, for forcing him to eat just the one type of cookie, year after year. What if the man loved gingerbread and I had no idea? Of course it was impossible to leave a variety for him because my mom wasn’t much of a baker, and the cookies we left Mr. Claus were from out of a tube. It wasn’t until I was older when I saw the red markings left behind on the glass of milk and the leftover cookie pieces one year and I thought to myself, “Santa Claus wears lipstick? !” Who am I to judge? Whatever floats your boat Santa. Whatever floats your boat. Of course it was then that I realized it didn’t matter what cookies we left behind because my mom (aka the best Santa in the world) was just like me. We don’t discriminate against a cookie. We welcome each and every one of them. 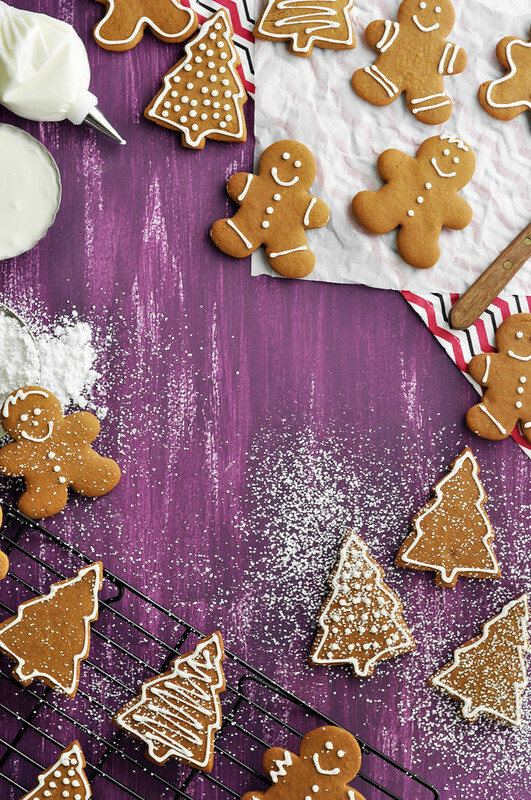 I’ll never say no to a spicy gingerbread cookie that’s for sure, and something tell me, Santa wouldn’t either. This is just like any other cookie recipe. 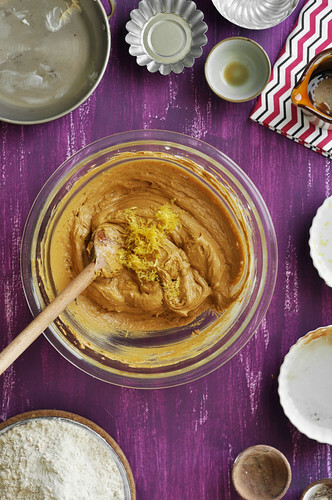 It’s actually rather easy to put together, without all the fuss and muss of other desserts. I don’t know why I always used to think that making gingerbread was the hardest thing on the planet. I think it was because of all the different spices and the chilling and the rolling out and the stamping of cookie cutters and then the pressure of decorating. 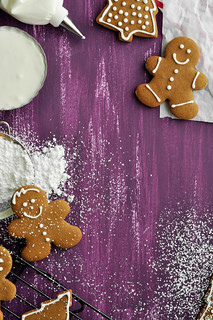 It was all too much for me to handle so I just never thought about making gingerbread cookies at home. I wouldn’t buy them either, just because it would be a constant reminder of my fear. So each year, I’d just go without the satisfaction and joy that gingerbread brings around the holidays. But this year, I decided to forget about all that and give it a shot. Come to find out, it was the easiest thing ever, and a lot of fun actually. We begin by sifting together the dry ingredients. Wait. Yes. Stop what you’re doing. If you look out the window right this second, you might see pigs flying because I definitely just said “we’re going to sift!” If you don’t know already, I have a slight aversion to sifting, only because I’m completely lazy. I’ll admit it. It’s an added step that, to me, isn’t always crucial. Plus I like to live on the wild side, *insert evil laugh here. 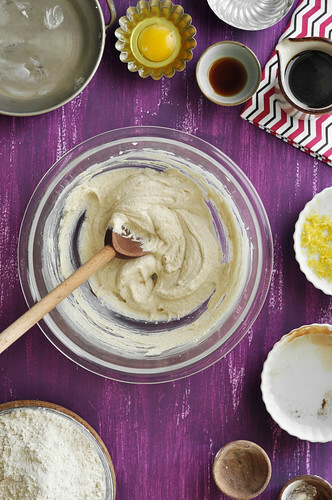 * Almost always, I just say “eh, forget about it,” and end up whisking the dry ingredients. Not today. Today my friends, I’m a changed man (but only for this recipe so don’t go around getting used to it). It’s crucial to sift in this recipe because of the spices. You don’t want any spicy lumps. Yes, I just said spicy lumps, and I don’t regret it. 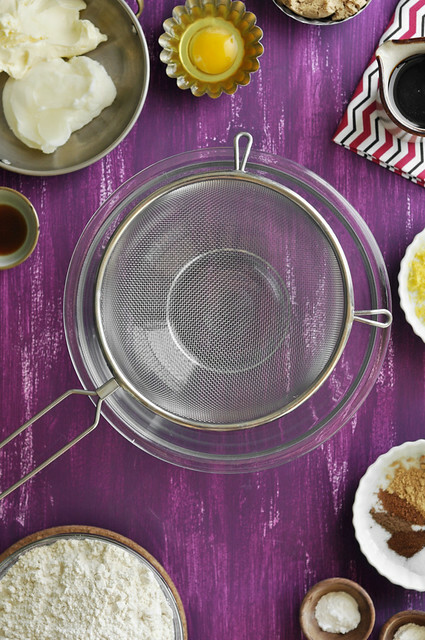 So place a sifter over a large bowl, you know you want to. Spices (which consist of: cinnamon, ginger, nutmeg, all-spice, cloves, salt, and freshly cracked black pepper—yes black pepper). Sift it like you’ve never sifted before and like you never will again (because you probably won’t, or at least not on this site anyhow). 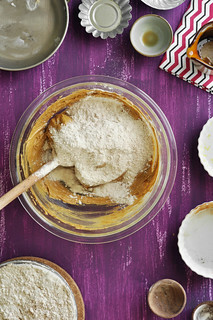 Discard any hard bits of flour or spices that remain in the sifter. Set the dry ingredients off to the side and let’s turn our attention to the “wet” ingredients. 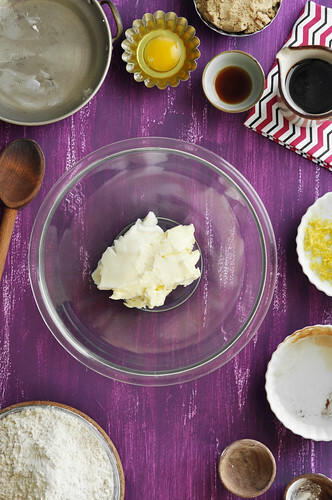 In a large mixing bowl (by hand or with an electric mixer), mix together the butter and vegetable shortening. Stir until light and fluffy, about 3 minutes. 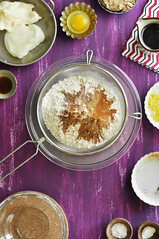 Then add the brown sugar and mix until creamy as well, another 1 to 2 minutes. It should be pale in color. Next up is the egg (mix well after adding it) and the molasses (mix once more until evenly incorporated). Toss in the dark rum and the lemon zest. Give it all a big stir to make sure it’s evenly combined. Okay, it’s time to add the dry ingredients from earlier. Do you remember those? 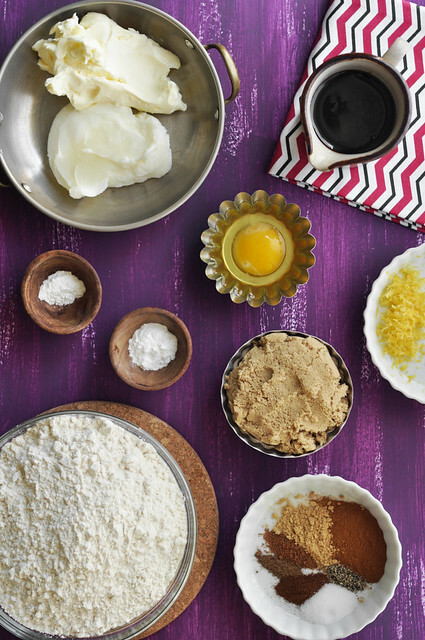 It’s the flour and baking soda and baking powder and spices and…that’s it. Continue to add the dry ingredients and stirring until the dough comes together and all the flour is used up. Towards the end, it will be harder to stir by hand because it’ll be a stiff dough. Just keep going. I have faith in you. You can do it. Of course, if you use a mixer, you don’t really have anything to worry about. You won’t get tired. Divide the dough in half and then wrap each half, tightly, in plastic wrap. Allow the dough to chill in the refrigerator for at least, at least, AT LEAST (got that?) at least three hours. It’s very important for the dough to chill because it will firm up and make it easier to roll out. 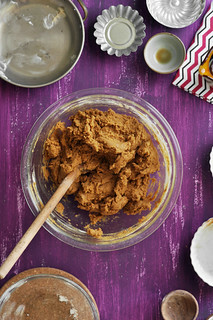 Plus it allows the flavor of the spices to develop and the cookie dough will become tastier. What can be wrong with that? Sure it’s a long time to wait but you can make it in the morning and it’ll be ready by the afternoon, you’ll be eating cookies, by the handful, no later than the early evening. So there you go. 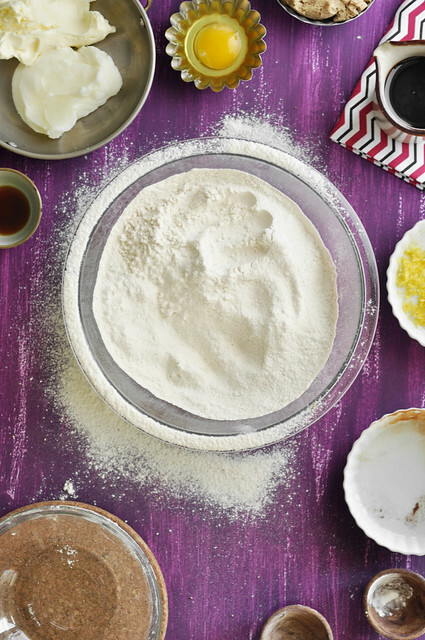 Once ready, roll out the dough—working with only half at a time, keep the unused half chilled in the fridge—on a lightly floured work surface. Cut into your favorite shapes. Place the cookies on a baking sheets, lined with parchment paper evenly spaced out, and bake in a preheat 350ºF oven for about 10 to 12 minutes, or until the edges are golden brown. 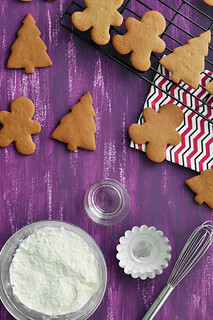 Remove the baking sheets from the oven and allow the cookies to cool on the pan for 2 minutes. Then transfer, using a spatula, onto wire racks to cool completely. Let’s make some royal icing shall we? I’m getting hungry and these cookies are calling out to me, but I’ll only eat them with some frosting on it. Is it morbid to wait to put faces on them only to bite their heads, legs and arms off later on? Maybe, but who cares!? Let’s frost these babies. Royal icing is that super fancy stuff that makes all the cookies look mega professional. It’s great to decorate with because it hardens and stays put. I know what you must be thinking, “But Jonathan, royal icing is so hard to make!” FALSE! I used to think that too but it’s actually super easy. 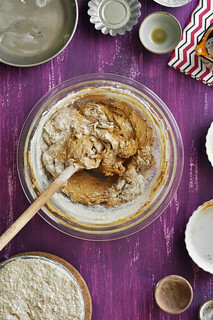 You just need one important ingredient, and that’s meringue powder, if you can find it, it makes royal icing a breeze to whip up. Wilton has some, you can find it here. You need a big bowl of powdered sugar, first of all. Throw in the meringue powder and some water and stir until it comes together. For a thicker icing, add less water. It’s that easy. Throw the icing into a piping bag with a small round tip, or use a food storage bag and just cut off a tiny piece of the end. You can make it work either way. 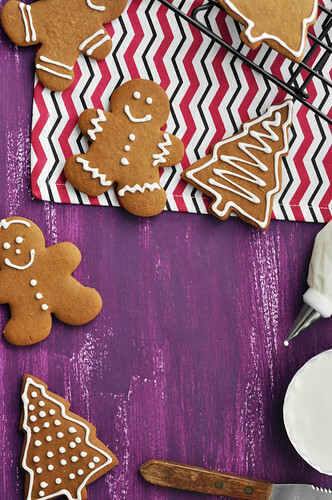 Decorate the cookies any way you’d like. Go crazy and lose control. Have fun with them. 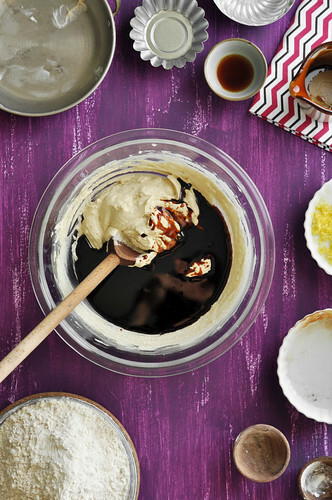 You can dye the icing any color you want and invite sprinkles and candies to the party. Get the whole family involved and make it a real celebration. Gingerbread Cookie Decorating Celebration is a thing right? I didn’t want to get too crazy with my cookies (lazy remember?) so I just decorated them rather simply. Plus I think they look pretty fancy if you ask me. I’ve always pictured gingerbread cookies like this, so that’s why I decorated them in this style. Also this really was my first time making gingerbread so I didn’t really know what else to do. Just in case you’ve been living under a rock recently, and don’t know what’s happening, the holidays are upon us. Christmas is in just a short few days. The panic, I’m sure, will set in eventually and you’ll be left to figure out what kind of cookies to leave for Santa. 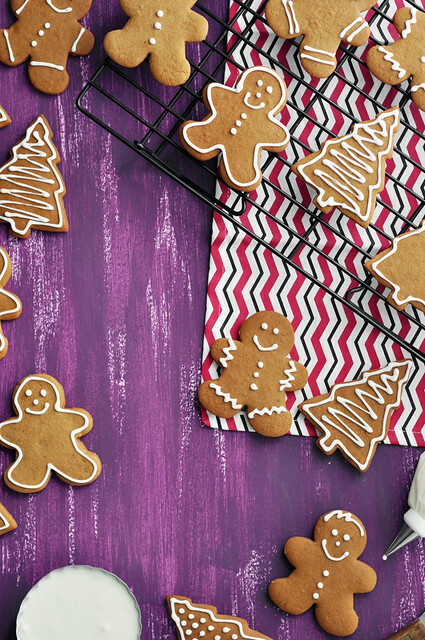 I heard through the grapevine that Santa really likes gingerbread cookies. I mean, let’s not make it a thing, but he and I are kind of pals. He tells me things and I tell him things. For instance, he told me to tell you all that he really wants gingerbread cookies this year. “I hope they ditch those plain sugar cookies. I’m getting tired of them,” he told me. It was quite the revelation but I’m with my pal S. Claus on that one. Sugar cookies are so last year. 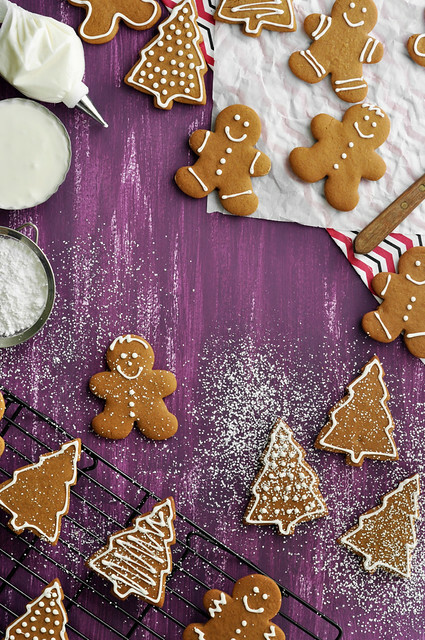 It’s all about the gingerbread this year. We’re starting a trend, let’s make it happen. You can serve these simply with a cup of coffee or milk (Santa’s choice, but almond milk please because I hear that he can digest real milk anymore. Poor Santa. They are great with a cup of tea also. And if you want to make it snow on your cookies, well that’s fine by me. Dust some powdered sugar on top of them right before serving and watch how awesome they look with the sprinkling of sugar, but then again, everything is better with a dusting of sugar. Am I right ladies and gentlemen? Either way, Happy Holidays, friends. I hope you have a great time with your family, friends and loved ones. Stay safe, cause you know…I care about you. Let’s not make it a thing though. 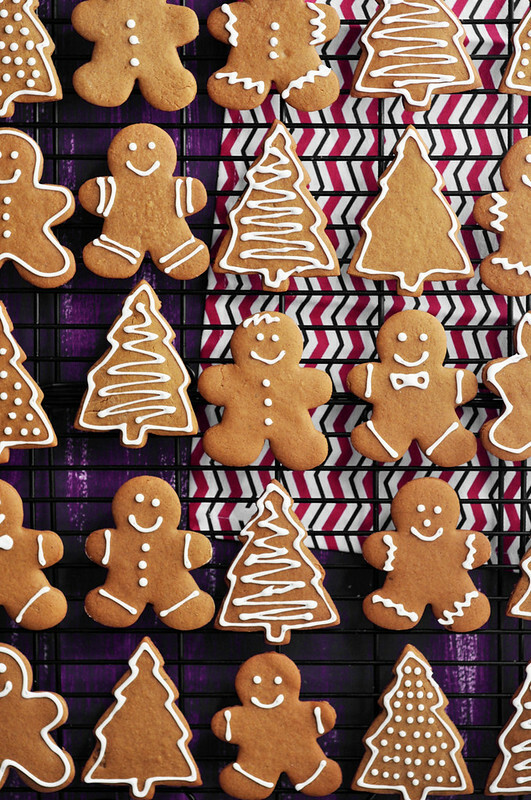 Eat lots of food, and hopefully lots of these gingerbread cookies. I wouldn’t be mad about that, and something tells me, you wouldn’t either. Enjoy! 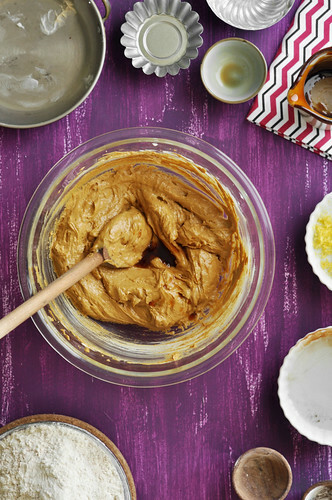 Have some holiday fun, cutting this spicy cookie dough into any shape you’d like! 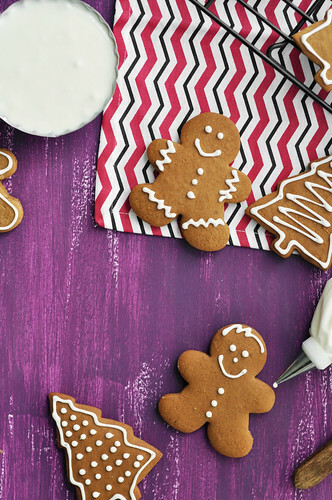 Perfect for the holidays, you can easily whip up a batch and have a gingerbread cookie decorating party. Get your friends and loved ones involved, after all, isn’t that what the holidays are all about? 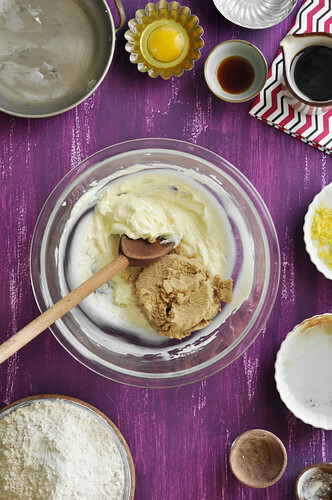 This traditional cookie dough is really easy to put together and can be made a couple days ahead, so that it’s ready for you to roll out and bake. 1. 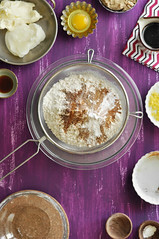 Sift together the flour, baking soda, baking powder and spices. Set aside. 2. 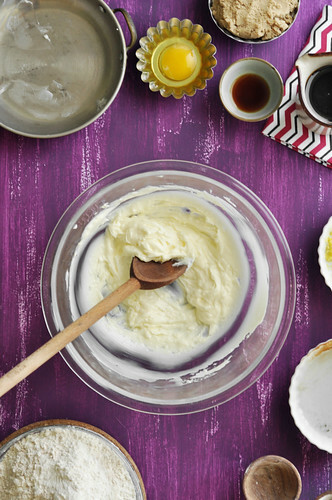 In a large bowl, cream together the butter and vegetable shortening. 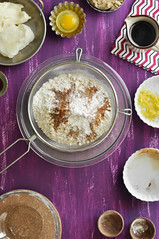 Add the brown sugar and mix until light and fluffy, about 3 minutes. Add the egg and stir well until completely combined. Mix in the molasses, lemon zest and rum. 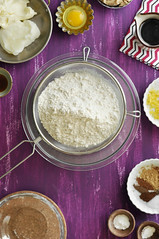 Add the dry ingredients, in parts, and stir until the dough comes together. It should be firm and slightly sticky to the touch. Divide the dough in half and wrap each half, tightly, with plastic wrap forming them into disks. Place in the fridge and allow to chill for at least 3 hours or overnight. It can be made up to three days in advance. 3. Preheat oven to 350ºF. Working with one dough disk at a time—keeping the second disk in the fridge—roll it out onto a lightly floured work surface. The thicker you roll out the dough, the chewier the cookies will be. And the thinner you roll it out, the crispier they will get. 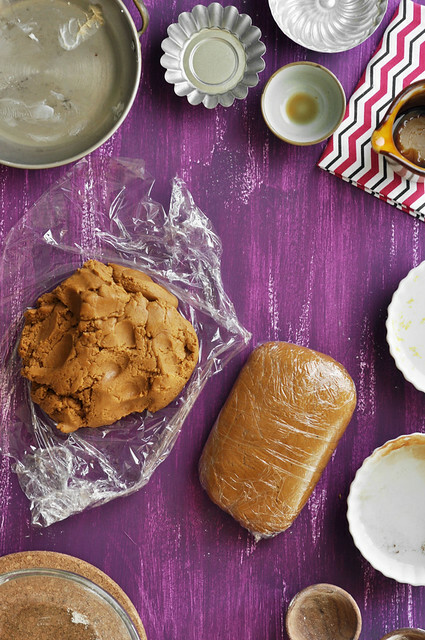 You can decide how to roll it, depending on your taste for gingerbread. 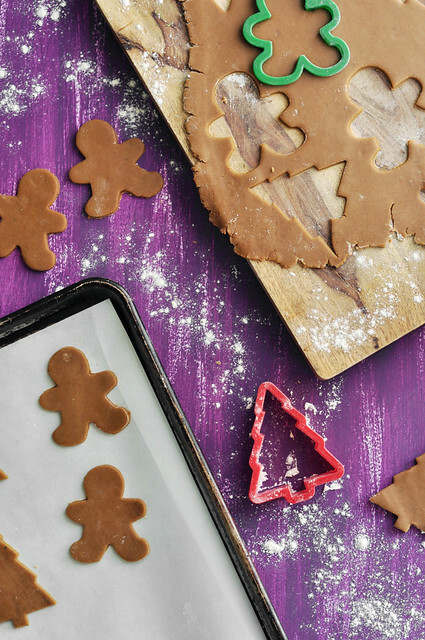 Cut into desired shapes and place on baking sheets, lined with parchment paper. Space them out evenly, leaving enough space for spreading. 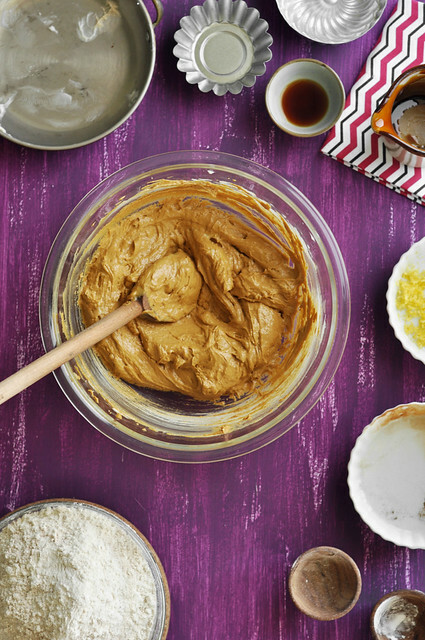 They won’t spread too much, but you don’t want to crowd them so that they end up baking together. Bake for about 10 to 12 minutes or until the edges begin to brown. 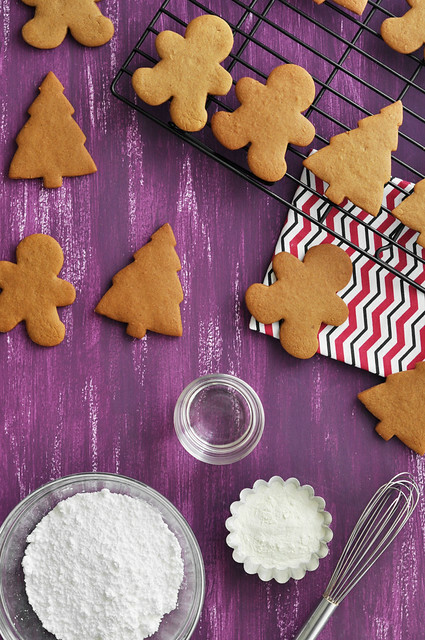 Remove the sheets from the oven and allow the cookies to cool for 2 minutes on the pan. Transfer the cookies to wire racks and allow to cool completely. Repeat with the remaining dough. 4. 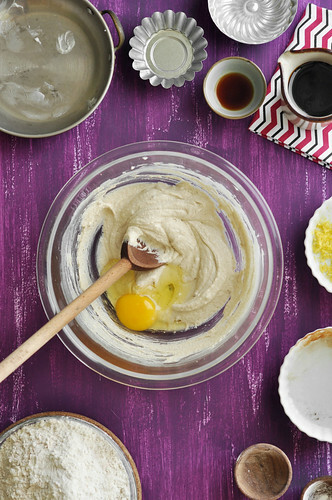 Whisk together the icing ingredients until completely smooth. If you want a thicker icing, add less water. If your icing is too thin, add a bit more powdered sugar. 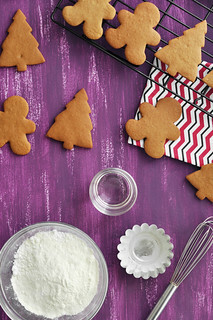 Pour the icing into a piping bag, fitted with a small round tip, or into a food storage bag with the end cut off. Decorate the cookies as you wish. Allow to set for a few minutes, and then just devour them. Go all in and eat as many as you can. Store any leftovers in an airtight container. What leftover though? Will keep for up to a week at room temperature. Enjoy! These are truly perfect! 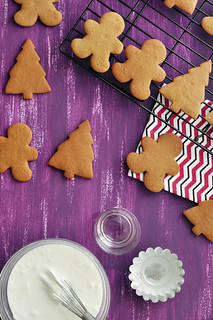 LOVE this recipe…the cookies are too cute!